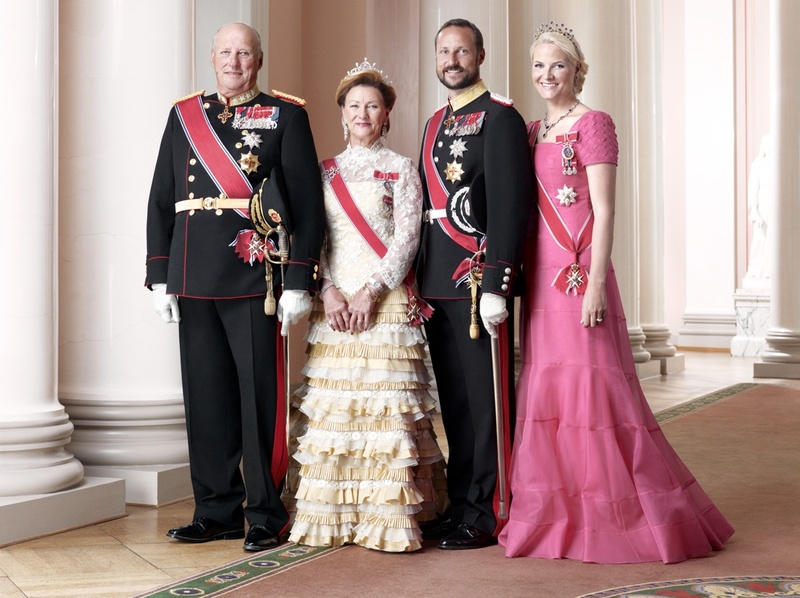 (VIDEO) His Majesty King Carl XVI Gustaf of Sweden Delivers His Traditional Christmas Speech. On the evening of December 25, 2016, His Majesty King Carl Gustaf XVI of Sweden delivered his traditional Christmas Day speech. The pre-recorded message was filmed inside Prins Bertil’s apartment at the Kungliga Slottet in Stockholm. “Dear Swedes, at home and abroad. Everyone in Sweden! These words are key for me. They are sometimes used to describe good leadership. But I think they can be good watchword for all of us. Not least in times of great challenges. According to researchers in 2016 looks set to be the hottest year ever recorded. The temperature in the oceans and on land continues to rise. During the past year we have seen how extreme weather events have caused great losses around the world, economic, but above all human. Changes in climate affect us: our ability to get food and clean water, to feed us and ultimately protect life and property. People’s lives are connected with how we take care of our environment. Here in Sweden we are privileged to have access to clean water straight from the tap. Often we think probably not on it. We see it as self-evident. The global water shortage can be felt distant. But it concerns us all. After a dry summer and autumn we have unusually low levels of groundwater. This has led to water shortages in many parts of Sweden. Among other things, Oland – where did it last summer to drive tanker trucks with water from the mainland. This creates a difficult situation for many. Not least for farmers. It is also an important reminder of how dependent we are on clean water. Royal Family’s commitment to water issues is large. And I am especially pleased to also crown princess has chosen to focus on just the marine and water issues in his role as ambassador for the UN global sustainability. Climate change and other environmental problems do not follow national boundaries. It happens on the other side of the earth affect us and vice versa. That is why the climate agreement reached in Paris last year is so important. To reverse the trend, we must cooperate. Protecting the environment is not just a question of ethics. But about survival. also a popular place for recreation. We are many who feel a special peace and joy when we get the opportunity to go out for a few hours in a quiet and beautiful forest. Forestry has a long tradition in our country. For many generations, we have built up valuable knowledge about how we can take advantage of the opportunities provided by the forests. During the year I have visited several activities based on the expertise and who contribute in different ways to sustainable development. This summer I was in Scania to launch the MAX IV research. It will attract researchers from all over the world. One of many exciting projects is just about developing new materials using raw materials from the Swedish forest. The development also means that switch. In Ångermanland I visited, for example, a former pulp mill. It had been converted into a modern facility for manufacturing including biofuels. And in Vasterbotten I gained an insight into the research being done on forest-environment. Swedish research and technology expertise are key assets, both for the environment and as a basis for Sweden’s future prosperity. During the year the Queen and I made three state visits – two outgoing and incoming. The contrast was great: from our visit to the tiny kingdom of Bhutan in the Himalayas to the populous Germany, Sweden’s biggest trading partner. And so the visit from Chile, a country that is far away, but many Swedes have close ties. One thing has been common to these visits and it is the interest of sustainability, climate and environment. There are issues where we have much to learn from each other. State visits helps to create dialogue and exchange of knowledge between Sweden and other countries. I see this as an important part of the mission as Sweden’s head of state. In a few days, Sweden will take place in the UN Security Council. It will be an important forum in the coming years. I am convinced that our country will be a positive force for peace and security. Sweden needed! Acts of terrorism, armed conflict and uncertainty. We live in troubled times. What is this world really headed? It is a question I have asked myself many times in the past year. And I do not think I’m alone. The news never stops up. It can be difficult to take in everything. The most difficult thing is the pictures and the stories of how children fare badly. The work for children’s rights today seems more important position than ever. One can feel anxiety about the future. But we should not let fear govern our everyday lives. We all have a responsibility to act as role models for our children and young people. Again, we must show courage, thoughtfulness and decisiveness. Courage to stand up for what is right. And action to intervene when someone needs help. Recently attended Queen and I at an ecumenical service held when Pope Francis visited Sweden. The cathedral in Lund gathered Catholics and Protestants together to draw attention to the 500th anniversary of the Reformation. At this historic meeting, it was agreed to put the unit in front of the division. To focus on the common rather than the differences. Such steps towards reconciliation offers hope for the future! When I look back on the past year, I feel – also on a personal level – much gratitude. Our family has been extended with two new little princes. The Queen and I celebrated our fortieth anniversary this summer. And in connection with my 70th birthday last spring, I received many greetings and best wishes. I want to thank you for the warmth and care that we encounter. It means a lot to me and my family. I would like in this context also send a special greeting to all Swedish men and women who now find themselves far from home in various international missions of peace and security. To you I say: Thank you for your important work! You and your families are making great personal sacrifices, not least a weekend like this. It is worth our respect and gratitude. 2016 is about to end. Sometime early next year, Sweden its ten millionth inhabitant. It can be a person who is an immigrant or returning home after a long time abroad. It could be a child born anywhere in our country. Regardless, he or she will be a part of our common future. For this person, I would say: Welcome! I wish you all the best!